3D printing is really friggin' cool, but promises that we'd all have one in our homes by now have turned out to be less than true. Fortunately, you don't need one of your own to bring your imaginary creations to life. Photos by Creative Tools and Karen Blakeman. You may still be wondering why you should care about 3D printing to begin with. It's a fair question! While 3D printer prices haven't plummeted like some expected, the community around them has grown considerably. Sites like Thingiverse have huge libraries of ready-to-print models. You can download everything from cool stuff like a miniature Millennium Falcon (a neat gift idea! ), to useful things like phone stands or cord protectors. There are a ton of things that you can print that are absolutely worth what they cost to make. They just might not be worth thousands of dollars for the printer, as well. If your hang-up is the hardware, here are some places that will let you print out objects without buying a mini factory. Does what I want already exist somewhere else? When I was browsing 3D printed objects, I found a potentially useful bag carrier that would make bringing in groceries easier. Then I found this thing on Amazon for $US6. 3D printing is cool, but it's not always necessary. Before you order something, see if a regular mass-produced version exists. Does the model have any flaws? In case you've never worked with 3D models before, let me give you a tip: they're hard to get right. Before you spend money on an object, read reviews where available, or look for pictures of an item after it's been printed, rather than just the renders of what an object "should" look like. Do I need to alter or tweak this model? While you can technically change any 3D model using modelling software, some objects are easier to tweak than others. Thingiverse has an entire collection of customisable items with specific aspects you can tweak to fit your needs, like a Christmas tree stand with an adjustable diameter, so you can make it fit your tree. 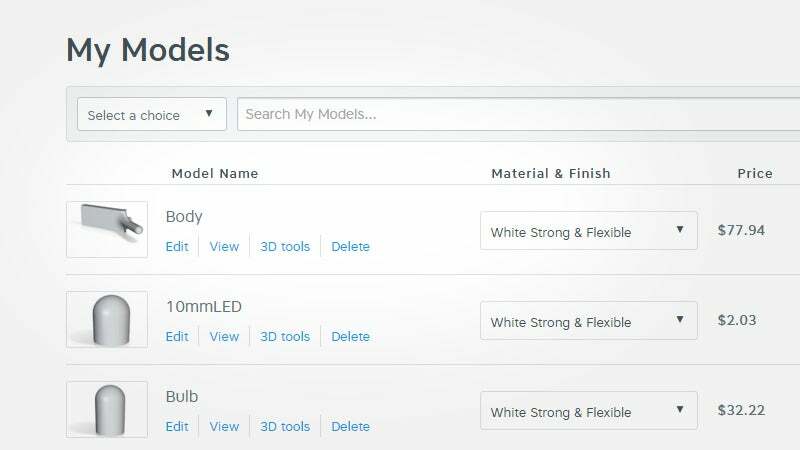 Before you download and print a model, make sure you check out all the possible ways to customise it that are available. What materials will this be made of? Wait, aren't all 3D printed objects just coloured plastic? Nope. You can get 3D printed objects in wax, sandstone, porcelain and even precious metals like gold and silver. That's super awesome, but it's also another thing that can affect your object. 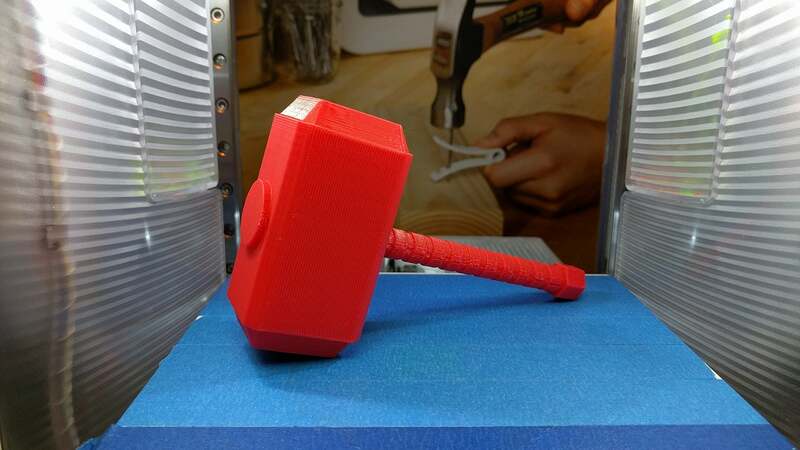 If you're going to make something other than plastic, check out material sample kits so you can see how durable your object might be, or how intricately it can be printed. Even if you do your due diligence, keep in mind that printing isn't always perfect. You may get an object that you need to sand down to make it look just right, or you may have an intricate object that doesn't quite line up. Be prepared for the possibility that something might not come out exactly the way you envisioned it. 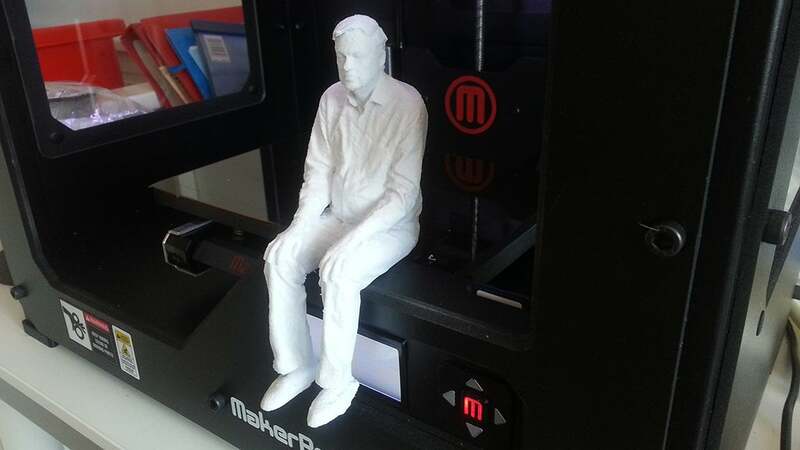 Several 3D printing services have popped up in the last few years that allow you to upload your own models and get them printed in whatever material you want. One of our favourites is Shapeways. This site lets you upload your own designs and get an immediate quote on how much a particular object will cost in a variety of materials. You can explore the object in a 3D model viewer. If you don't have a ready-made 3D model to work with, services like You3Dit will pair you with designers who can help you create what you want, then print it for you. This can be a little more expensive than just uploading a model and ordering a print, but it also reduces the likelihood that you're going to get a botched product. Not to mention, most 3D printing services will use industrial-grade equipment that can get a lot more detail than the typical consumer models that you're used to seeing in stores. I have a confession: I don't own a printer. And not the 3D kind: I don't own a regular, 2D paper printer either. I just have so few instances where I need to print something, and unused printers break so much, that it just makes more sense to go down to the local library and print something when I need it. Unsurprisingly, some stores have decided that this concept works just as well for 3D printing and now offer in-store printing of your own models. This is more common in the US than in Australia, however the Russell St Officeworks in Melbourne is equipped with 3D printers. A quick google search also reveals a few speciality 3D printing stores. They may not be nearby for everyone, but if you do happen to live near one, it's probably easier to drive to a store for a bit, instead of buying a hulking machine just to make a cool figurine. When you get to your local library, among the many other cool things they have, you may find a 3D printer. That's right, libraries are cool. You heard it here first. 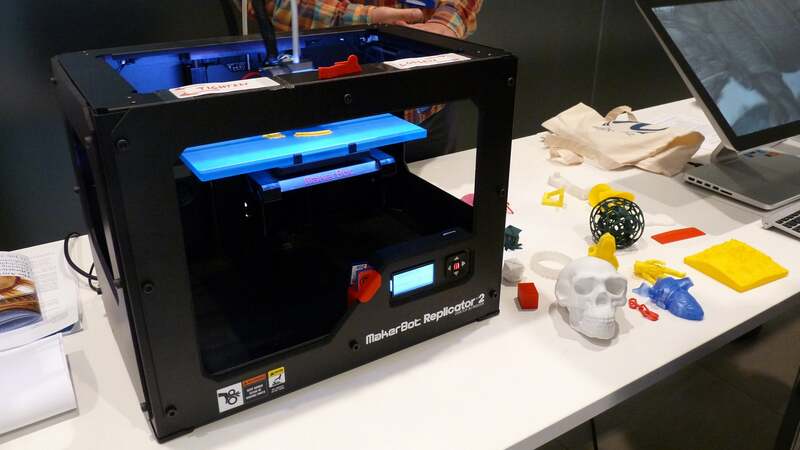 If your library has a 3D printer, you may be able to use it for free (though you may have to buy or bring your own materials). If you want to really get your hands dirty learning how to 3D print objects, this is one of your two best bets. Most libraries won't have a clerk behind a desk who takes a USB stick and gives you a printed object. They will let you get hands-on with the software and learn how it works. Not every library will have staff that are experts in 3D modelling, but you can experiment on your own and learn how to do it yourself. Learning in a library. Imagine that. So far this year, I've visited three different Makerspace communities in Atlanta, and every single one has had at least one 3D printer. If you can find a Maker Faire in your town, or a local maker community, and you're even slightly interested in 3D printing, take a day and visit. If you're actually looking to learn how 3D printing works, this will be the most educational and likely the most rewarding. Not only will most makerspaces have shared resources (like 3D printers! ), they also have people who are experienced in using them on site. You probably won't be able to walk in the front door, ask for a print job, and walk out. Instead, you can join classes, or work directly with someone who knows what they're doing. In my experience, this was the best way to get started with 3D printing, as you learn some of the intricacies of what you're doing, not to mention the problems that can arise. Despite cool demo videos, prints can become improperly aligned, nozzles can get clogged or material can come out unevenly. All of these can quickly ruin a project, especially if you don't know how to fix your printer. With all of these options on the table, you might reasonably start to wonder, "Is it ever going to be worth owning a 3D printer?" And the truth is... probably not? It's easy to imagine a wonderful world where anything you can imagine, you can build. The reality is that 3D printers are still printers. They get clogged, jammed and misaligned, and they can ruin your day when they don't work right. 3D printing services, on the other hand, are much more consumer friendly. You can use models you find online (or make yourself) and get someone else who knows what they're doing to make the product itself. If you really want to get one to learn how to make your own stuff, libraries and makerspaces are going to be way better for you than just buying a 3D printer for your house and fiddling with it until something good comes out. For enthusiasts and regular makers, owning a 3D printer might be a great idea, but for the rest of us, contracting that work is likely going to be the best bet for a long time to come. EDIT: Thanks for the helpful article. Spot on again Lifehacker. Melbourne is one of the biggest cities on 3D Hubs, which is a site akin to AirBnB or Uber, for 3D Printing, and definitely worth a mention for projects like this. It's cheaper, and can be quicker to deliver than any of the services mentioned in this article.